During his tenure, Ohio State has seen record highs in applications, graduation rates, academic excellence, diversity and donor support, and increases in NIH and NSF research funding. The university has received national recognition for its commitment to teaching and learning as well as excellence in patient safety and clinical outcomes at the university's Wexner Medical Center. To support greater access to an affordable and excellent Ohio State education, Dr. Drake directed the university to identify $400 million by 2020 to lower costs and improve value for students and families. By March 2015, the university had generated more than $1.5 billion through operational efficiencies and innovative funding strategies -- far exceeding its stated goal. The President's Affordability Grant Program, funded through university-wide efficiency efforts, provides need-based aid to Ohio undergraduate students. Entering its third year, the popular program has provided a total of $60 million to middle- and lower-income students -- bringing the university closer to its goal of $100 million in additional need-based aid by 2020. In 2017, Dr. Drake led the establishment of the Ohio State Tuition Guarantee -- freezing tuition, mandatory fees, housing and dining for four years for incoming, in-state freshmen. He also increased the value of Ohio State Land Grant Opportunity Scholarships to cover the full cost of attendance while doubling the size of the program in 2018. In addition, Dr. Drake has served as trustee and national president of the Alpha Omega Alpha Honor Medical Society and as chair of the board of trustees of the Association of Academic Health Centers. He is chair of the Association of American Universities and chair-elect of the Association of Public and Land-grant Universities. 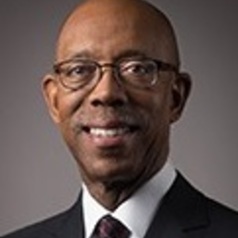 He holds additional leadership roles for the American Talent Initiative, University Innovation Alliance, National Collegiate Athletic Association and Big Ten Conference.